Bankruptcy is always an unfortunate situation to go through, but necessary when all other options have failed. It is a situation that can be better handled with the help of a law team. Joseph C. Crudo PLC and his team can help you through this hard time and help you achieve a better outcome. Bankruptcy court is a special sector of law; there is an individual bankruptcy court for each judicial district in the United States. The judge is responsible for making binding decisions regarding bankruptcy cases, for example, eligibility to grant or dismiss a debt discharge. The ultimate goal for filing is to relieve yourself or your business of specific debts. This will relieve you from solicitations from collection agencies as well as give you a fresh start without burdensome debts. If you are searching for a bankruptcy attorney in San Diego, contact the office of Joseph C. Crudo for a team of experts. In the code, chapter 7 bankruptcy is known as “liquidation.” This occurs when the debtor’s assets are liquidated, or sold, for cash. This cash is that is then used to pay off creditors. With a chapter 7, debtors can expect to be freed from most of their debt. Chapter 7 gives specifics as to what can be used as liquidation, a list of exemptions, and which debts are eligible. A “means test” will be given to determine if the debtor is eligible for a chapter 7. If their income is too high, they will need to consider a chapter 13 file to get rid of their debt. It’s possible that any property or cars owned will be liquidated. Chapter 13 is a better option for debtors who have a regular income. Instead of liquidating all assets, the debtor will work out a payment plan to pay back creditors with a 3 to 5-year plan. This allows for debtors to hold onto valuable assets like houses and cars. The payment plan is based on the amount of regular income of the debtor. During the repayment process, the debtor is protected from any wage garnishments, collectors, or lawsuits. There are certain debts exempt from being included in a Chapter 13 including: student loans, child, or spousal support, DUI liabilities, criminal fines, and home mortgages. Chapter 11 is titled as “reorganization.” This occurs when businesses want to continue working while they repay their creditors, although rare, consumers occasionally file chapter 11 bankruptcy as well. Chapter 11 requires a reorganization plan from the business that needs to be approved by creditors and the court. Once approved, debts will be discharged and paid back through a repayment plan. Chapter 12 is titled as “Adjustment of Debts of a Family Farmer or Fisherman with Regular Income.” This is similar to a chapter 13 with a debt plan that is repaid from 3 to 5 years. This plan allows for family farmers or fisherman to continue working during their plan. A Chapter 9 is titled “Adjustments of Debts of a Municipality.” This is so that cities, counties, towns, school districts, or other municipalities to declare bankruptcy. This plan will require reorganization that is similar to chapter 11. 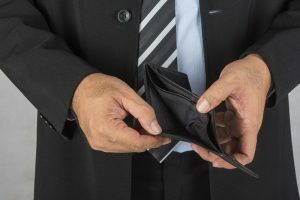 If you are considering filing for bankruptcy, contact us for a free consultation before making an important decision that can affect your credit. Joseph C. Crudo PLC is an expert bankruptcy attorney in San Diego who will provide you with the best advice possible during this time. Find out if you need to contact a bankruptcy attorney today!